As an interesting little story, the HAVEN was used in a Television Sitcom as a San Diego Naval Station backdrop setting. 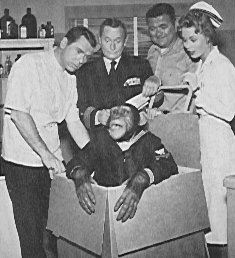 The show was aired from 1959-1962. The TV series "Hennesey" had the greatest theme tune in the history of television ... hands down, no exceptions, bar none. "Hennesey" was one of the very first examples of a now-common practice: a TV series in which the leading actor is also the executive producer. 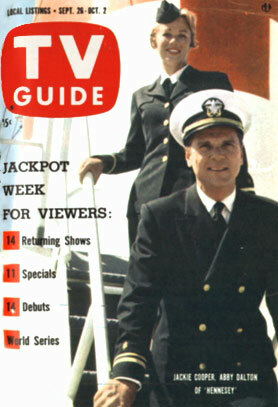 Former child actor Jackie Cooper was active for many years in the Naval Reserve as a pilot, and he put his real-life experience to work in this series. Cooper starred as Lieutenant Charles Hennesey, a Navy doctor stationed at an onshore Naval base in California. "Hennesey" was nominally a comedy, but all of the situations and characters were realistic ... unlike the supposedly realistic "M*A*S*H", "Hennesey" never introduced an implausible situation for the sake of a cheap laugh. Much attention was devoted to character delineation and interaction in a realistic (peacetime) military setting. The biggest problem with this series was that it took place in a U.S. military base in the early 1960s yet managed to avoid any mention of Vietnam.